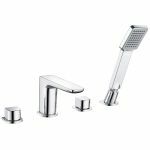 The Shield Muro 3 Hole Bath Mixer Taps has the perfect combination of features you need for any three-hole bath. 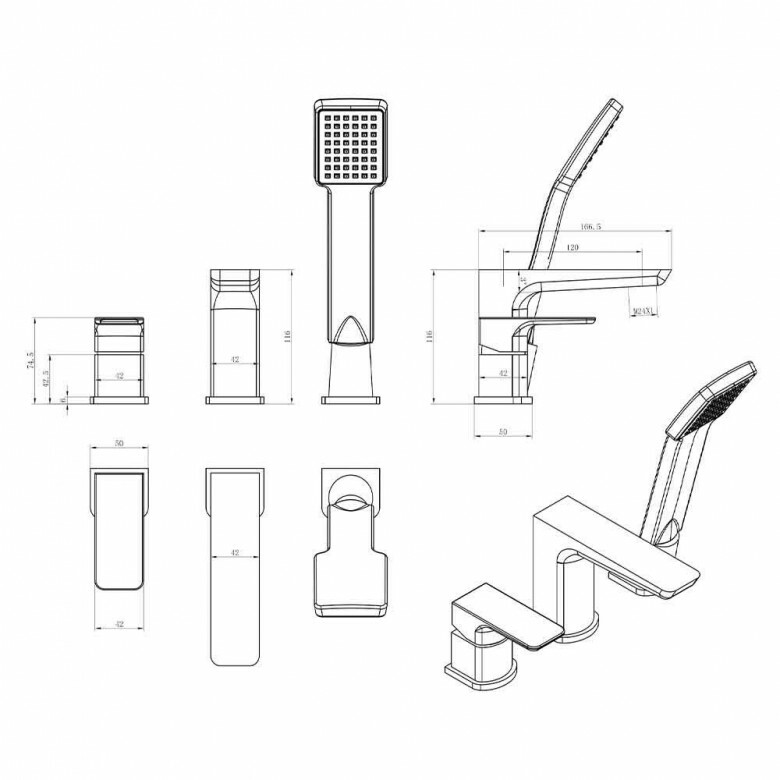 Made to mount to the deck of your bath, this comes with both a mixer tap and a shower handset. 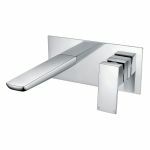 You'll have no problem bathing yourself, a child, or even a pet with the Shield Muro. 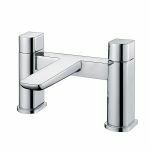 This mixer tap has a height of 116mm and a spout reach of 120mm. 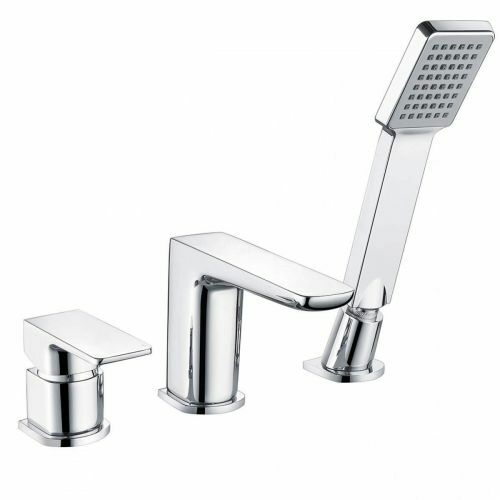 The chrome finish gives it a beautiful shine that would fit into any bathroom. 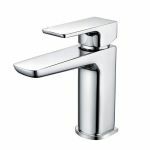 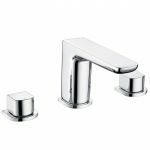 You'll find the tap is highly durable and made from solid brass. 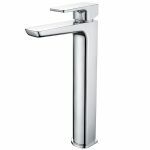 The tap itself has a squared design that is simple to manipulate in use. 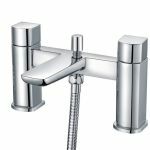 If you're looking for a bath mixer tap that has all the essential features and can be easily used, then you'll love the Shield Muro 3 Bath Tap. 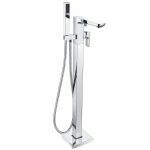 You'll find this is perfect for bathing yourself or others and it has a classic design that will easily fit into most bathroom designs.